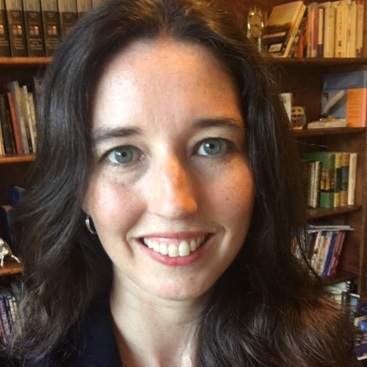 This nine-week Opening the Door to Poetry homeschool language arts course is specifically designed for the middle school or early high school homeschool student who has not read much poetry in the past. Lessons explore how to read and think about poetry, various poetic forms, vocabulary, literary devices, memorization, writing, and more. Nine Opening the Door to Poetry homeschool language arts lessons introduce middle school and early high school homeschool students to a variety of poetic forms, devices and vocabulary terms. Imagine opening the door to a roomful of people you’ve never met before. At first, you don’t recognize anyone. You see groups standing together chatting. There are loud, charismatic types and quieter, soft-spoken people. Some have warm smiles and others look sad and sullen. Stepping into this unfamiliar group may feel intimidating, but the only way you will get to know them is to spend some time with them. Likewise, many students are unfamiliar with poetry. This course is designed for the student who may not have read much poetry in the past. Just like meeting new people, though, and getting to know all the different personalities of a new group, we must spend time getting to know poetry before it becomes familiar and comfortable. In this homeschool language arts course we will learn how to read and think about poetry. You will read a variety of poems and hopefully find some that you really love. You may also find a few that you don’t like much, but overall you will grow more familiar with poetry. Additionally, this course will include vocabulary, discussion of literary devices such as metaphor and simile, opportunity for copy work and memorization, and writing activities. Imagine opening the door to a roomful of unfamiliar people. Groups are standing together chatting. There are loud, charismatic types and quieter, soft spoken people. Some have warm smiles, and others look sad and sullen. Stepping into this unfamiliar group may feel intimidating, but the only way to get to know them is to spend some time with them. Likewise, many students are unfamiliar with poetry. 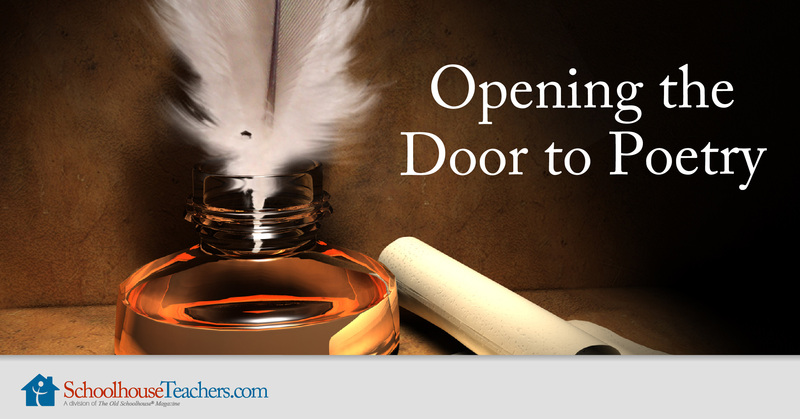 Opening the Door to Poetry is designed for the homeschool student who may not have read much poetry in the past. Just like meeting new people, though, and getting to know all the different personalities of a new group, students must spend time getting to know poetry before it becomes familiar and comfortable. In this homeschool language arts course, middle school and early high school homeschool students learn how to read and think about poetry. They encounter a variety of poems and hopefully find some that they really love. They may also find a few they don’t like much, but overall homeschool students grow more familiar with poetry. Additionally, Opening the Door to Poetry lessons include vocabulary, discussion of literary devices such as metaphor and simile, opportunity for copywork and memorization, and writing activities. Would you like to tell others about this Opening the Door to Poetry homeschool language arts course?